This monograph provides an overview of the principles required for a service orientation in the management of irrigation and drainage systems. The material covered is designed to emphasize an area largely neglected in the irrigation and drainage management literature. 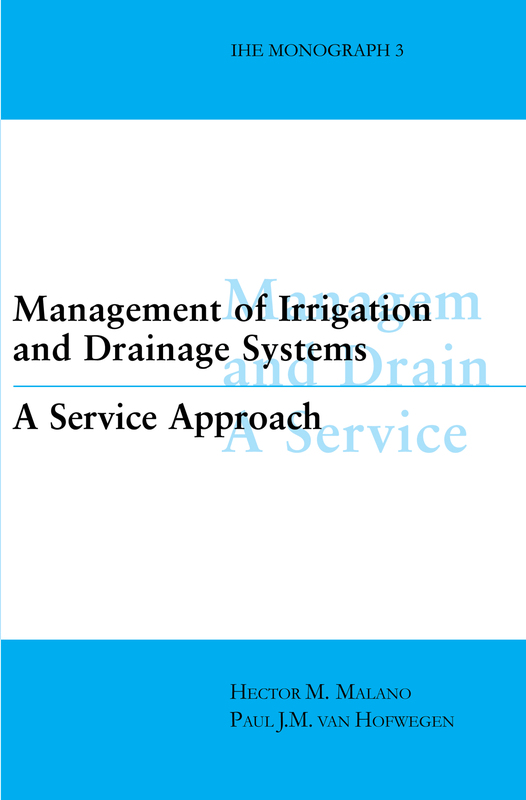 The dominating philosophy underlying this book is that irrigation and drainage systems must be managed as a service business responsive to the needs and changing requirements of its customers. It is postulated that this service approach to the management of irrigation and drainage systems consitutes a key element of the startegy that is needed to improve the current level of performance of many irrigation and drainage systems worldwide. Enhanced performance of irrigation is a prerequisite if we are to face the enormous challenge of producing greater quantities of food to meet the demand of a growing population. This is particularly the case in an environment with increasing competition for water from industry and urban water users, set against mounting concerns about environmental sustainability.